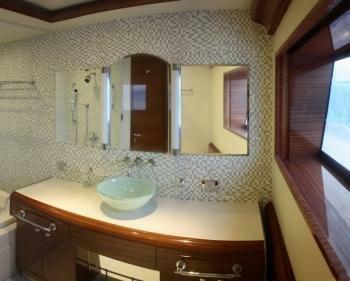 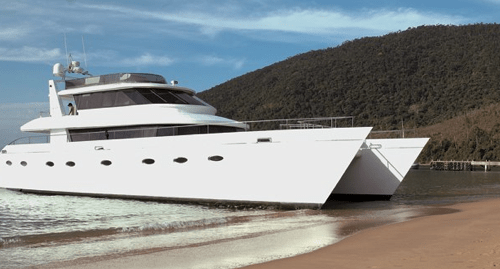 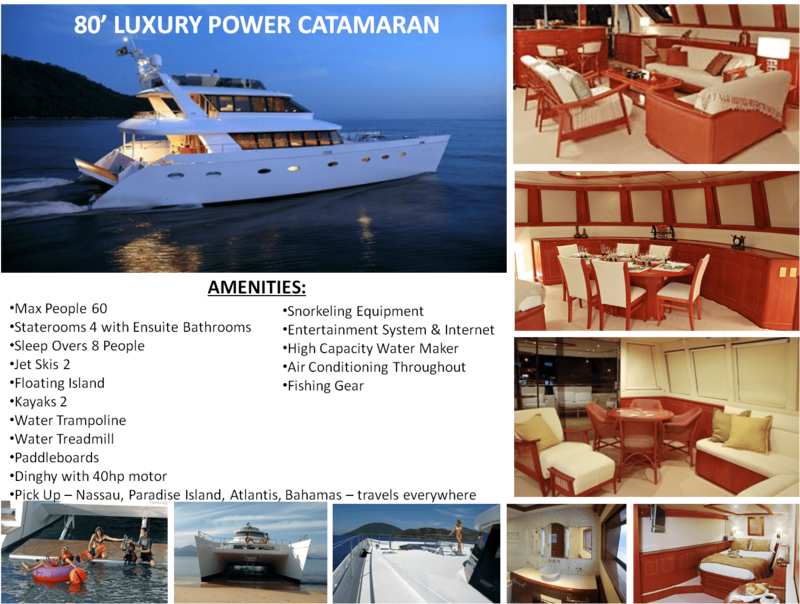 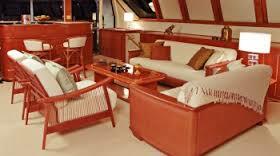 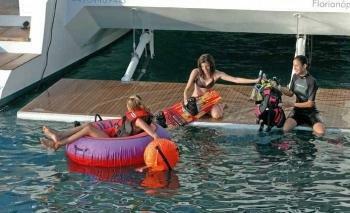 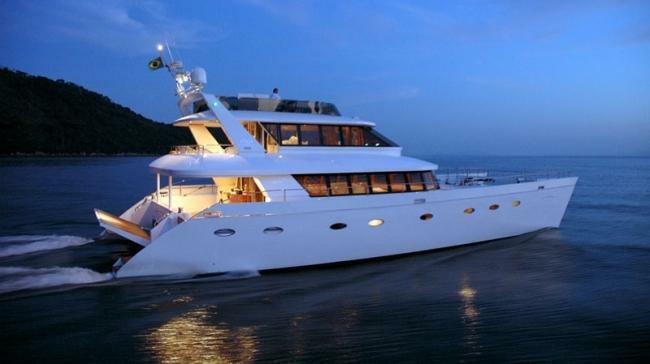 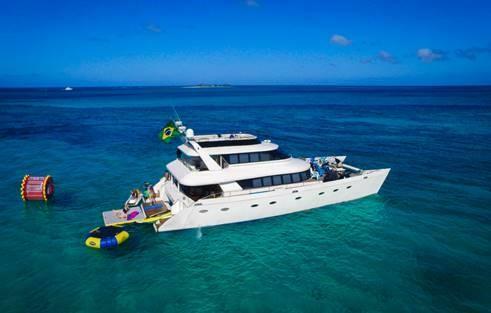 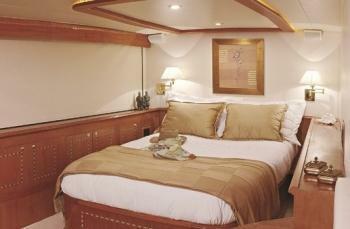 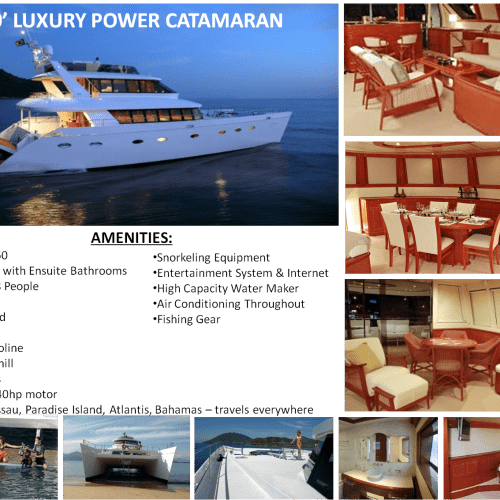 Get unbelievable square footage on this 80’ luxury catamaran with an area equivalent to a 140’ Luxury Yacht. 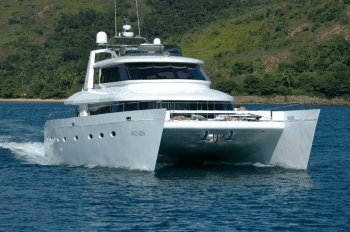 Day charters allow for up to 60 guest into this mega-space vessel for charters lasting four, six, and eight hours from Nassau and Paradise Island to Rose Island, Green Cay and Sandy Cay to name a few. 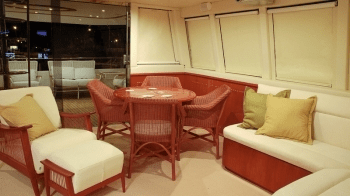 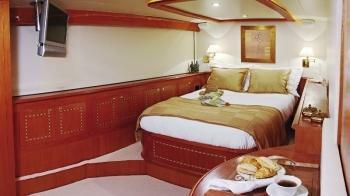 Try an extended stay for a few days or a week with this people friendly vessel which houses four staterooms and four full bathrooms providing an opportunity for up to eight people to sleep over. 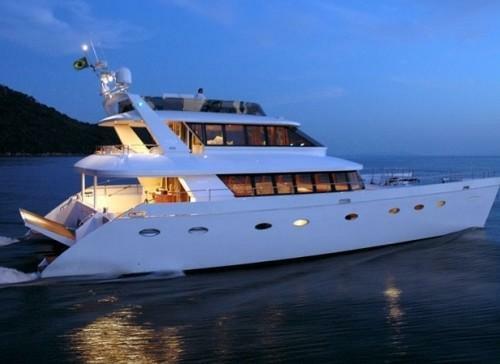 Live in the lap of luxury with huge exterior and interior space aboard this architectural masterpiece. 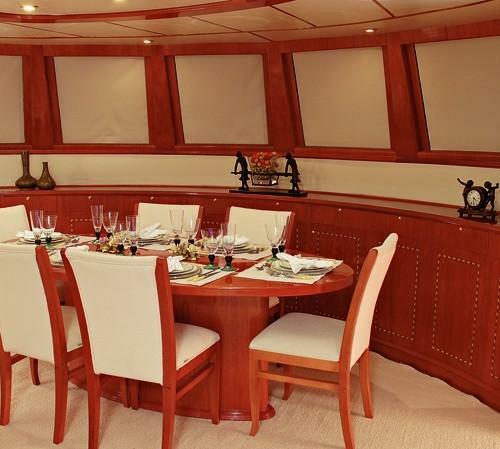 This vessel boast of being the only craft licensed to carry up to 60 guests in the Bahama waters, and it is the only craft that can provide this kind of square footage combined with luxury at a charter price this low. 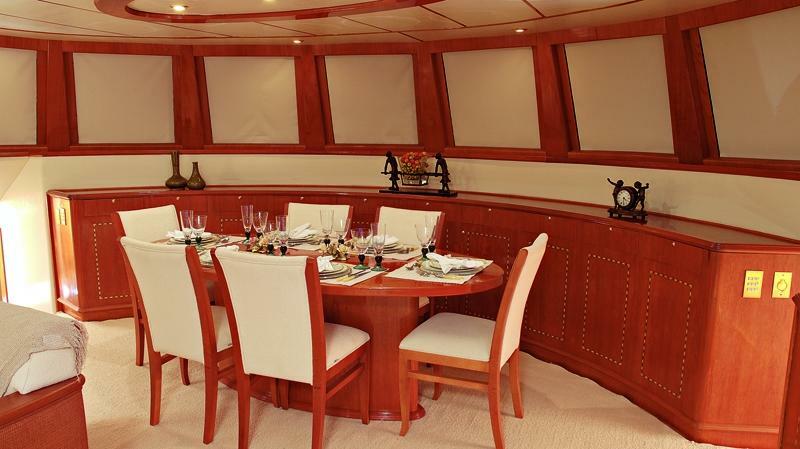 The well seasoned crew has been tied to this vessel for years in the waters of the Bahamas, and the on board chef provides excellent dine in cuisine. 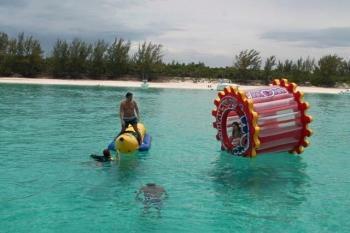 Water toys are a huge attribute with this incredible craft since virtually all groups enjoy at least some of the features the water toys have to offer. 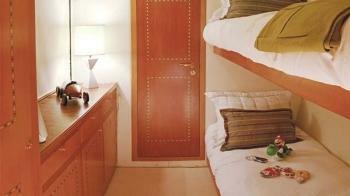 Book your dream vacation today and live with no regrets.